Oven/Range, Microwave, Dishwasher. All Window Treatment. Hello, I’m interested in 3705 N 36th St and would like to take a look around. The details on 3705 N 36th St: This house located in Century City, Milwaukee, WI 53216 is currently for sale for $64,900. 3705 N 36th St is a 1,080 square foot house with 3 beds and 2 baths that has been on Estately for 8 days. 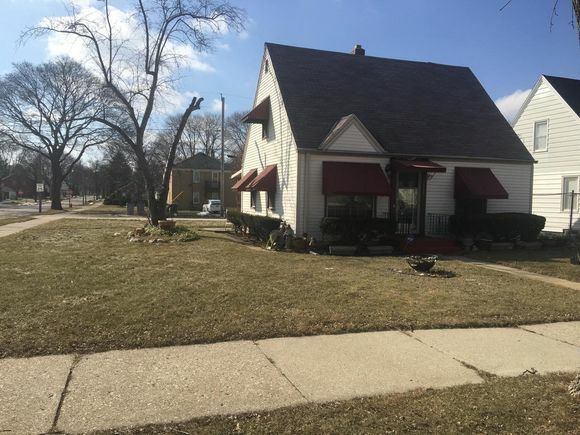 3705 N 36th St is in the Century City neighborhood of Milwaukee and has a WalkScore® of 52, making it somewhat walkable. This house is in the attendance area of Townsend Street School, Lloyd Barbee Montessori School, Washington High School Of Information Technology, King International School, Milwaukee French Immersion School, Craig Montessori School, Milwaukee German Immersion School, Elm Creative Arts School, Roosevelt Middle School, and Milwaukee High School Of The Arts. Listing Courtesy of: WIREX_METRO and It's Your Move Real Estate Svc. © 2019 WIREX_METRO - All Rights Reserved.